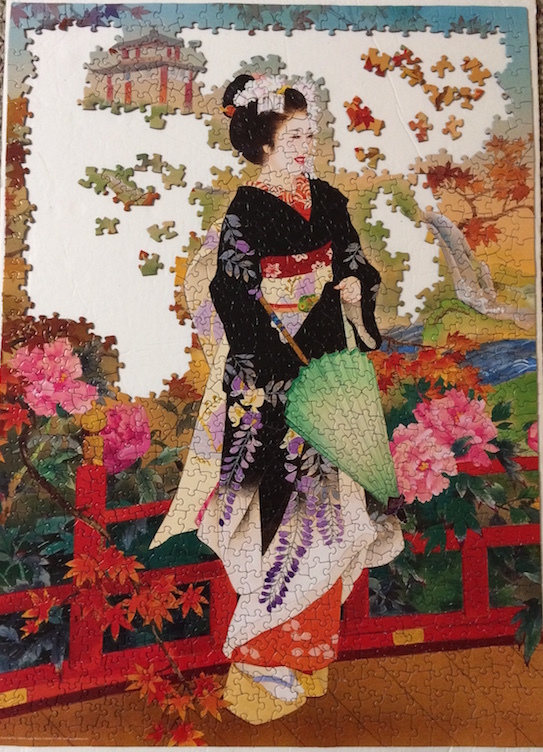 I started with the green umbrella first which led to the shoes, then the gold walkway, into the red rail and dark green foliage. 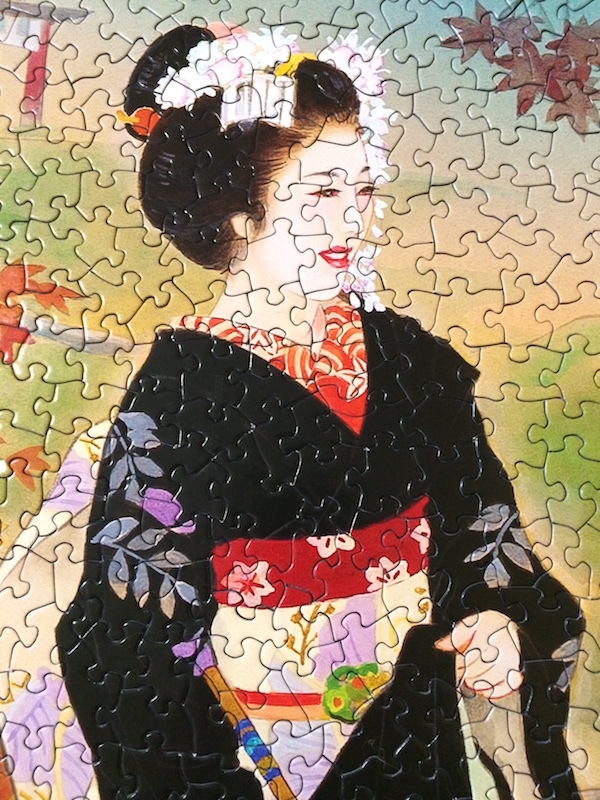 I then focused on the whites and blacks including her face and hair. 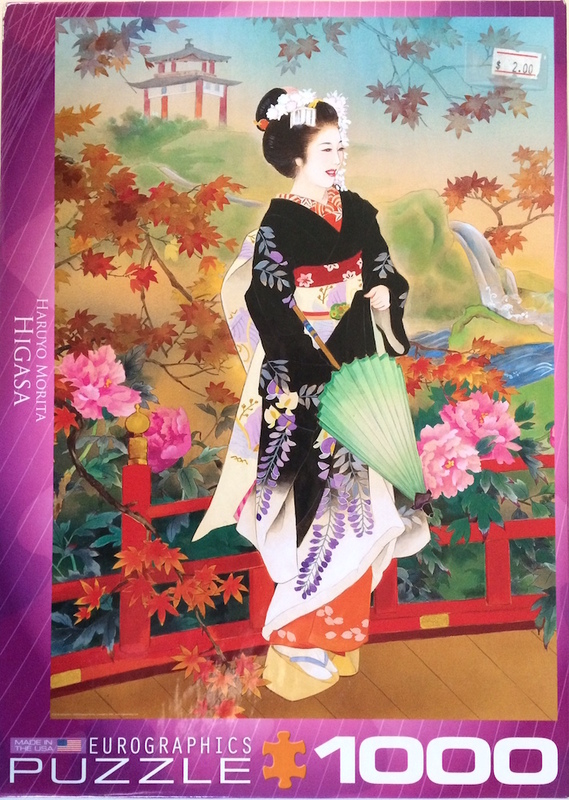 The pink flowers and building in the background were next followed by the blue hues. 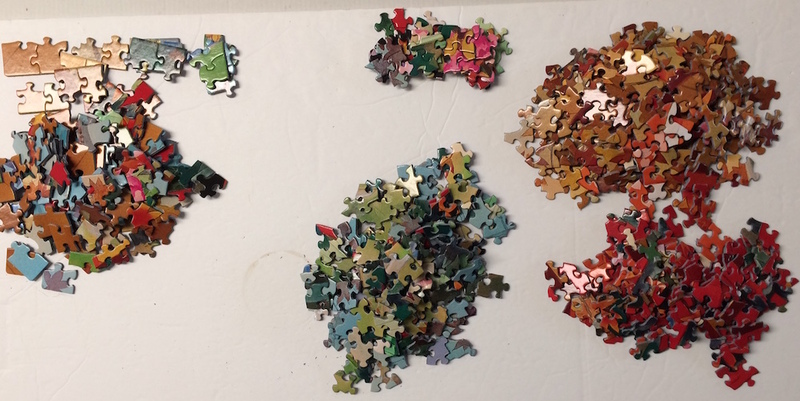 The brown/gold leaves were the trickiest area but the random shapes were very helpful for that. 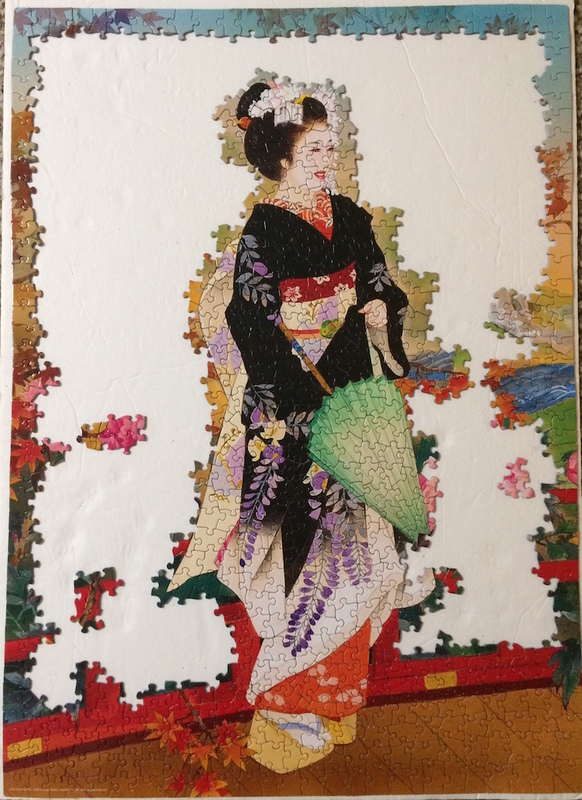 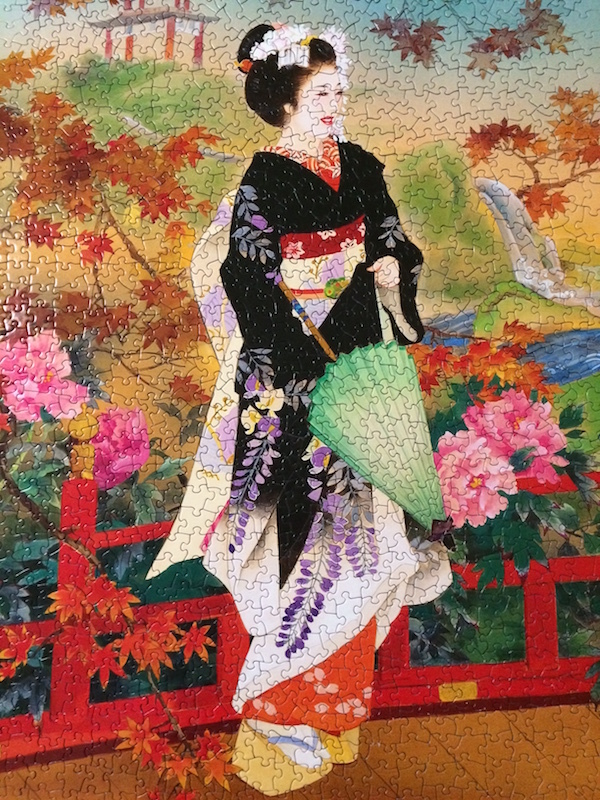 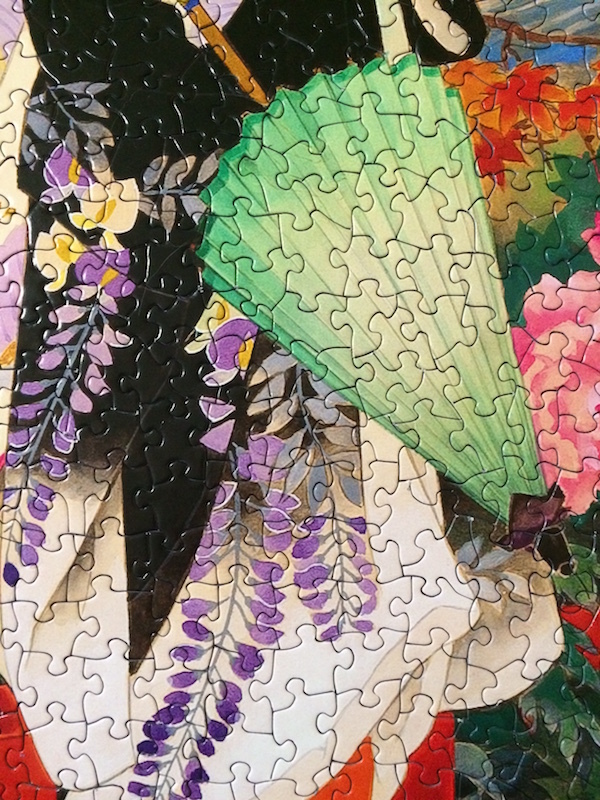 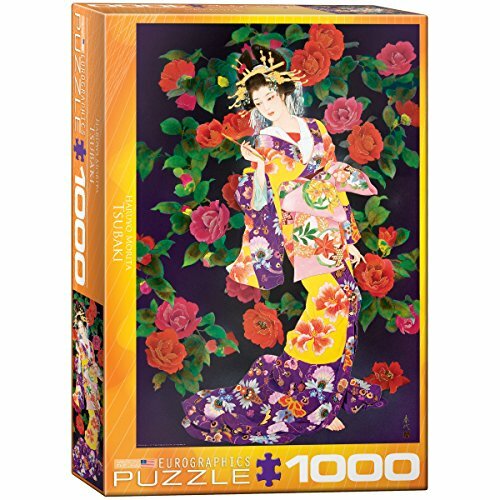 These images share the good quality of this previously loved Eurographics jigsaw puzzle. 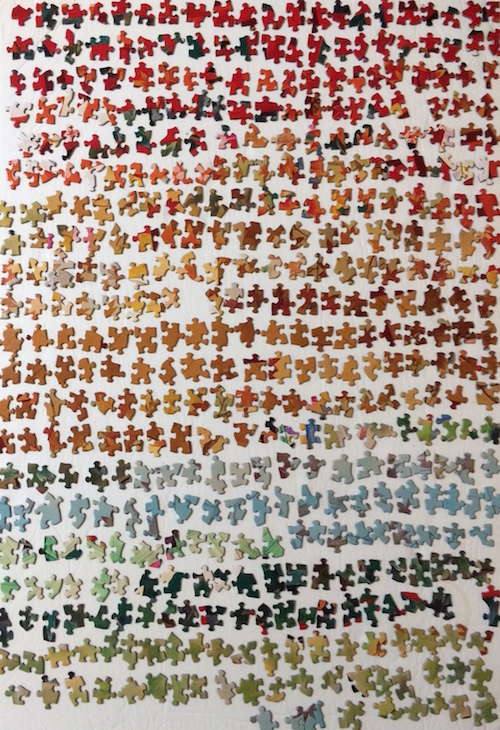 You can see how well respected it has been kept. 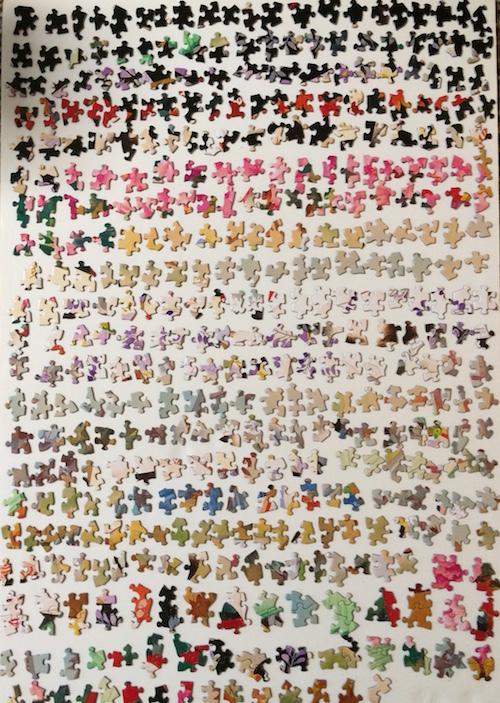 Plus it is really nice to see these images in the larger size so you get a better view. 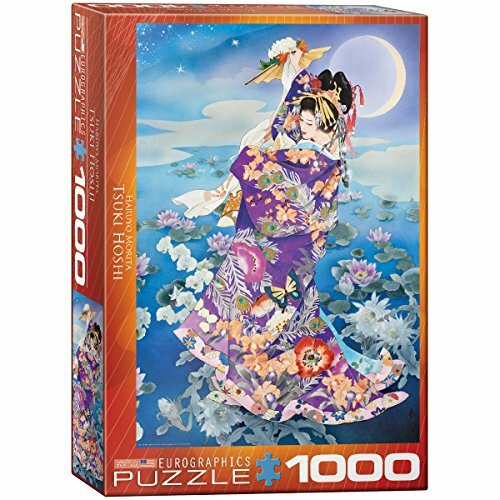 Eurographics Higasa Jigsaw Puzzle is an image theme that I have been hoping to assemble for some time now. 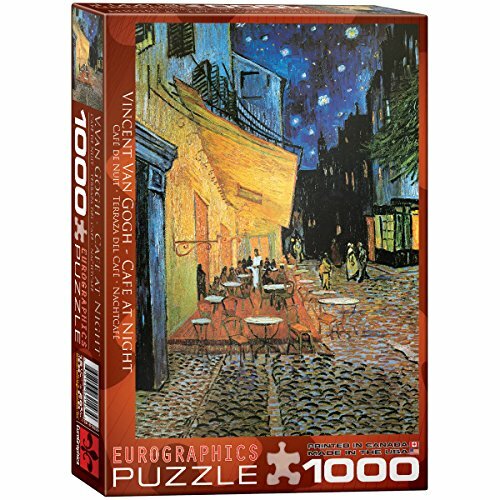 I have seen these image-types several times in the jigsaw puzzle Groups and then noted that Eurographics started to sell them as well. 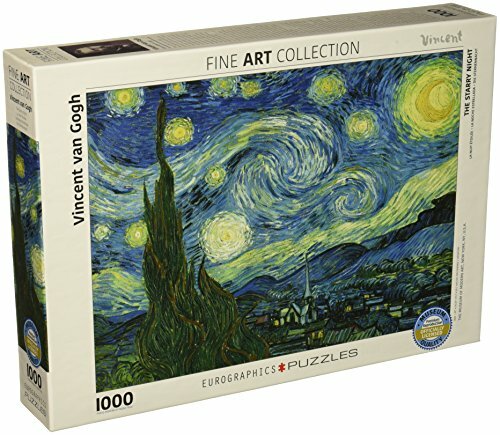 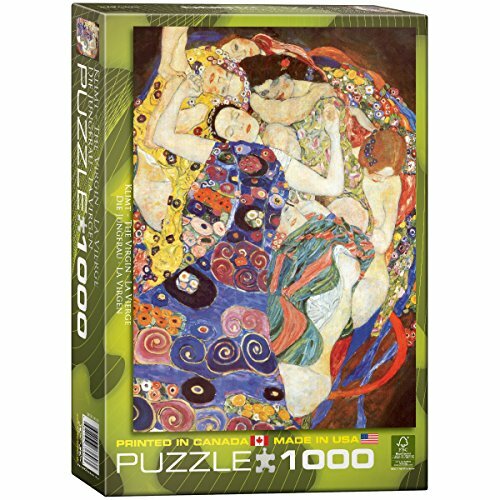 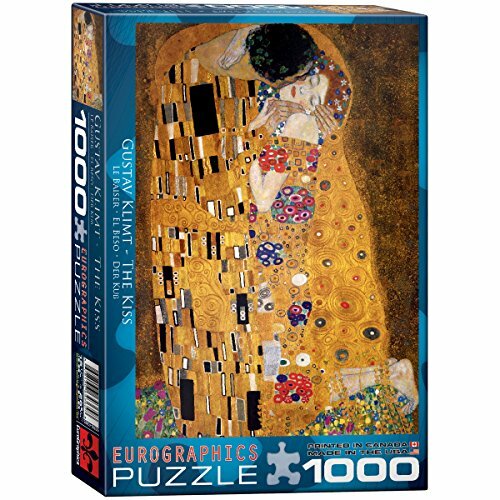 I highly recommend trying these Eurographics jigsaw puzzles. 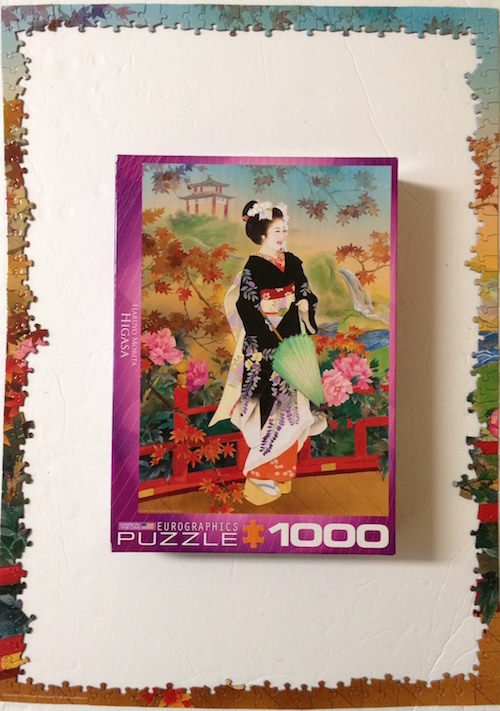 This one was a real delightful experience and I look forward to assembling more.